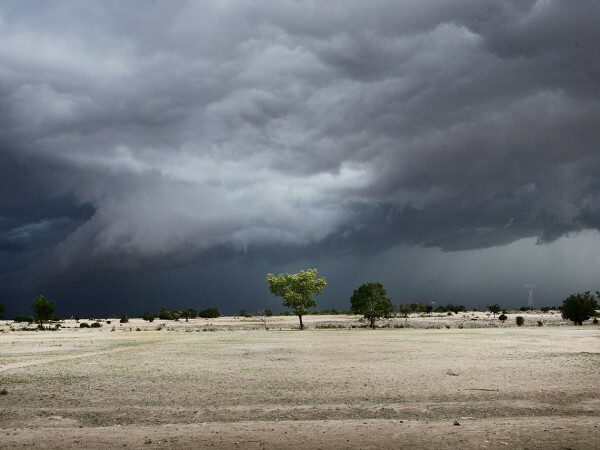 The believing in witchcraft has cursed a small part of the population of Tanzania, Africa. 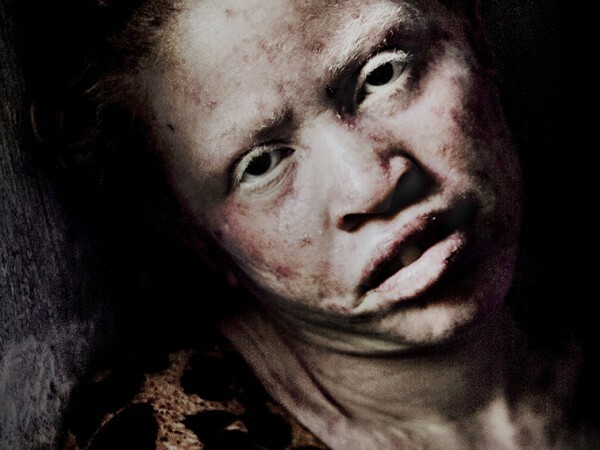 The legend tells that a limb from the body of an albino gives luck to the miner who enters the goldmine. 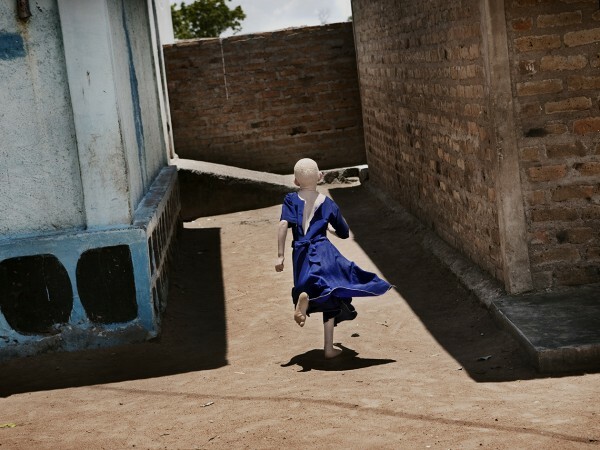 Due to the widespread folklore albinos, mostly children, are murdered and their body parts sold to superstitious businessmen. Above that, they live in a country that is ruled by the sun. 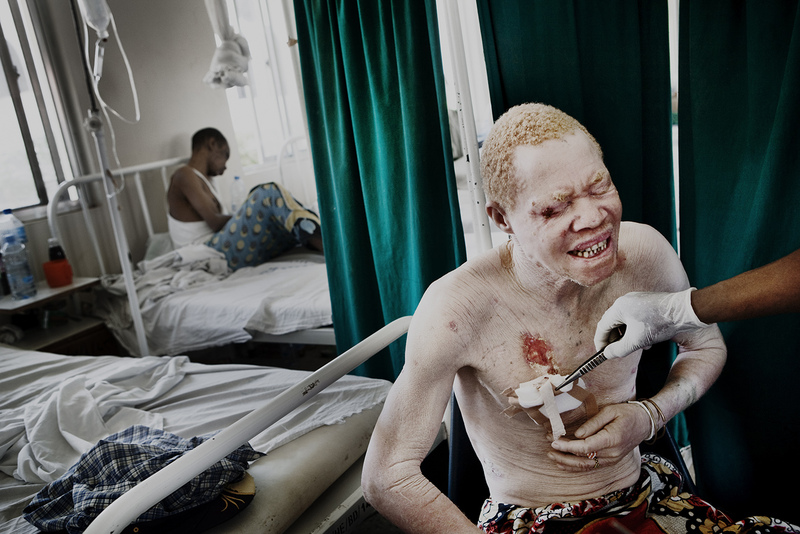 Skin cancer is a common cause of death among the albinos. 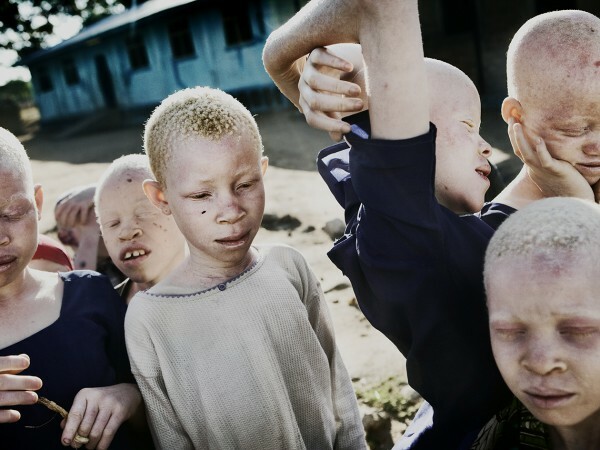 These circumstances, and the fact that their skin colour differs from the norm, the albino population are doomed to a life in solitude. In the midst of the tragedy there are also laughter and spirit of hope. 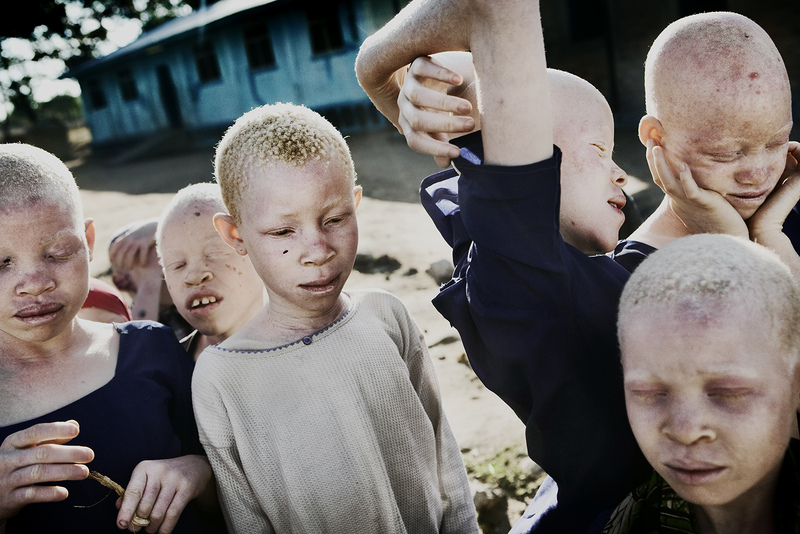 The albino people in Tanzania are organizing. The are refusing to let the murderers continue unnoticed. 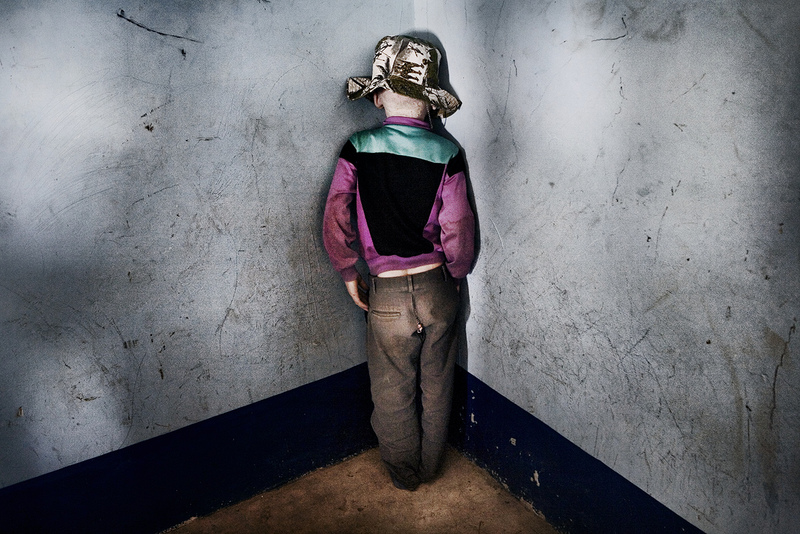 The book was nominated to the Swedish award Best photo book of the year 2009. 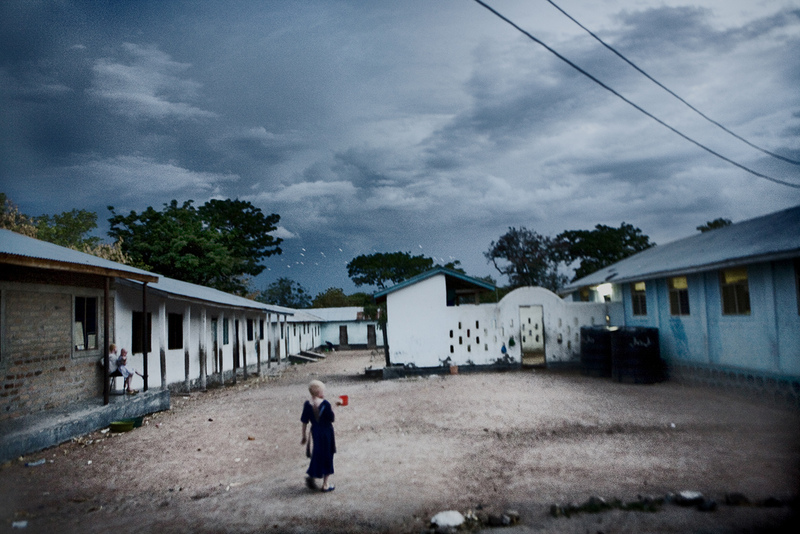 The girls’ dormitory at the Mintindo Primary School, Mwanza in Tanzania. 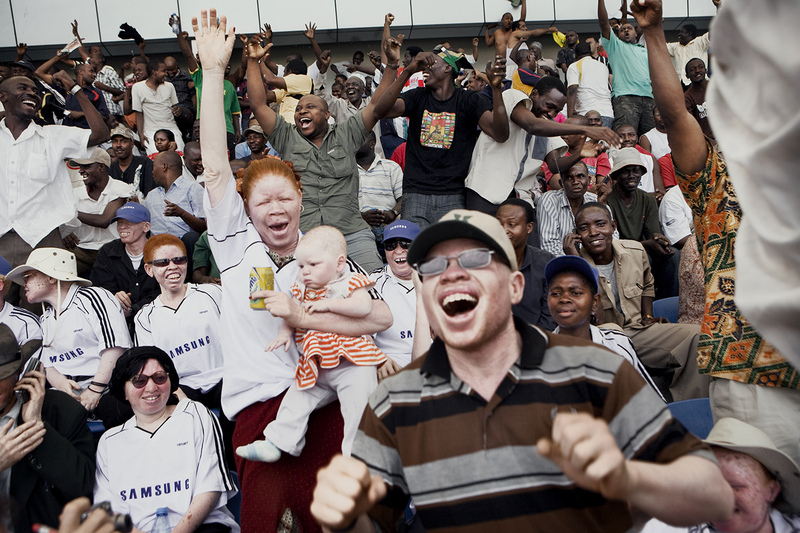 The Albino Magic Team plays against a team of members of parliament in an exhibition match before the important local derby between Simba and Yanga. The never-ending quest for shade. Sun lotions and sun hats are a luxury most people can’t afford. Mintindo Primary School¸ Mwansa. 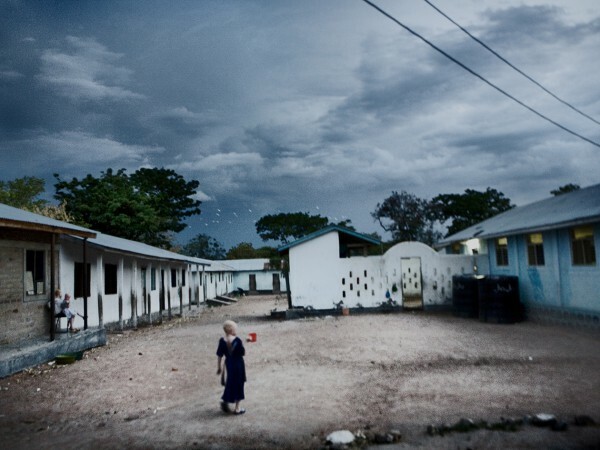 Every evening the school is patrolled by armed guards and police. 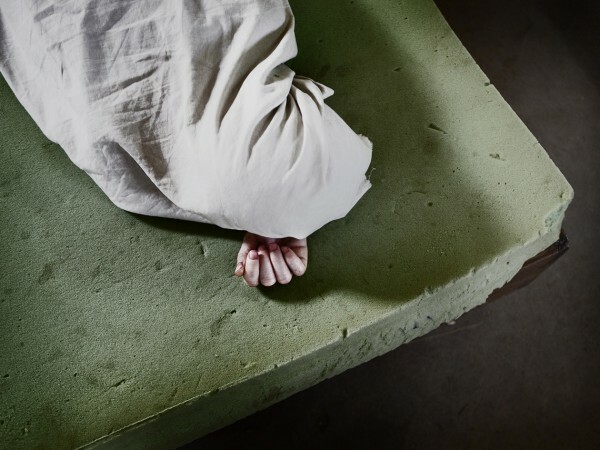 The staff lock all the dormitories and the children are told to stay inside. 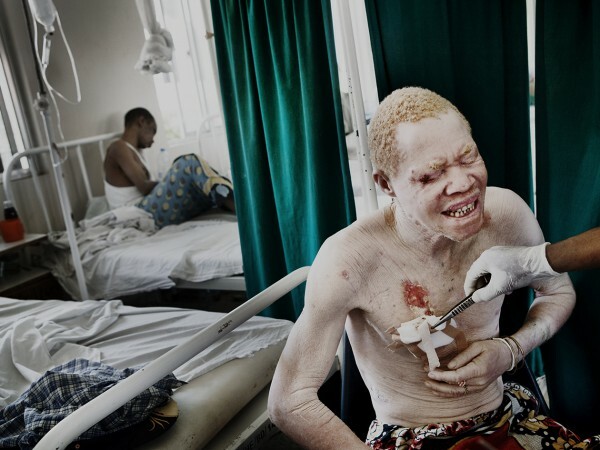 In addition to the constant threat of genocide¸ albinos also have to struggle with life as outcasts. 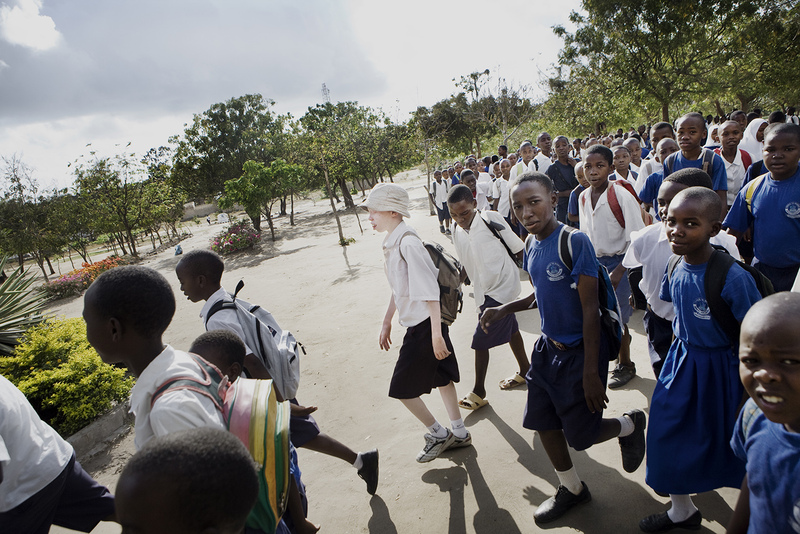 Eyesight problems make it difficult for many people to cope with school. 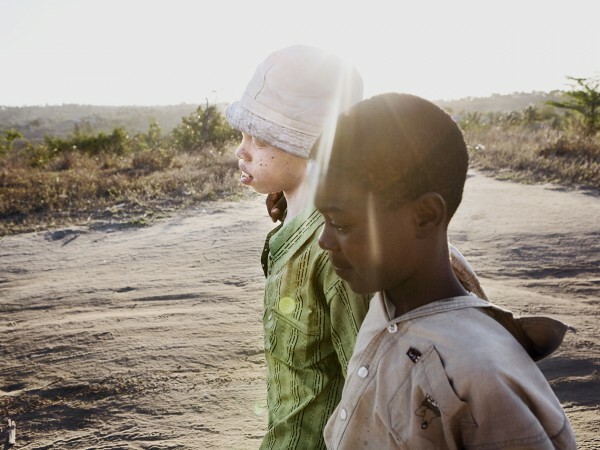 With no education¸ they are forced to take low paid jobs under the burning sun. Ward No. 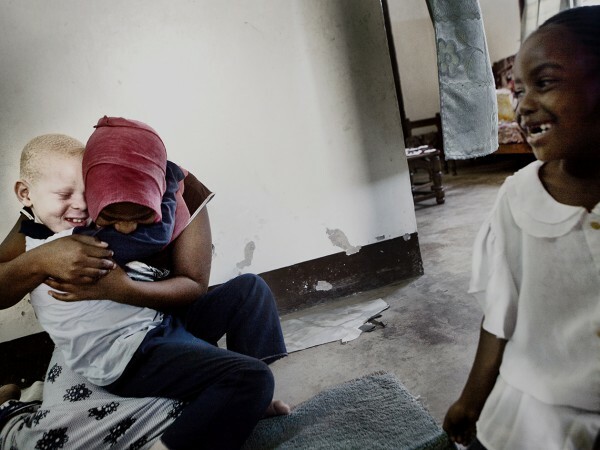 4 at the Ocean Road Hospital in Dares- Salaam is the only place in Tanzania where skin cancer patients can seek treatment. The football pitch outside the fence at Mintindo Primary School, Mwanza. There are no professional psychologists at Mitindo School. Nasoro Majige¸ has to fend for himself. 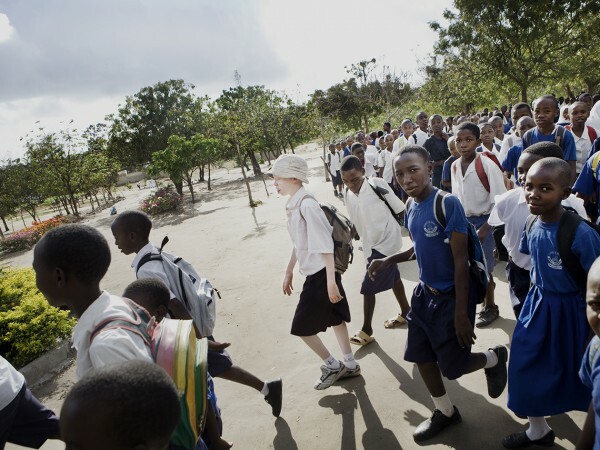 Most pupils at Mitindo School don’t see their parents for long periods of time. 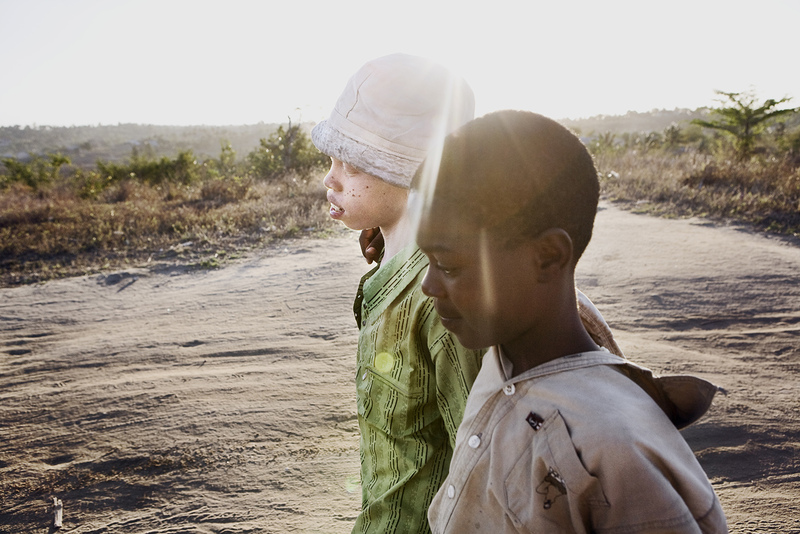 Best friends Franco and Chris are both 10 and live in Mbezi, where Chris goes to a »normal« school in spite of his albinism. 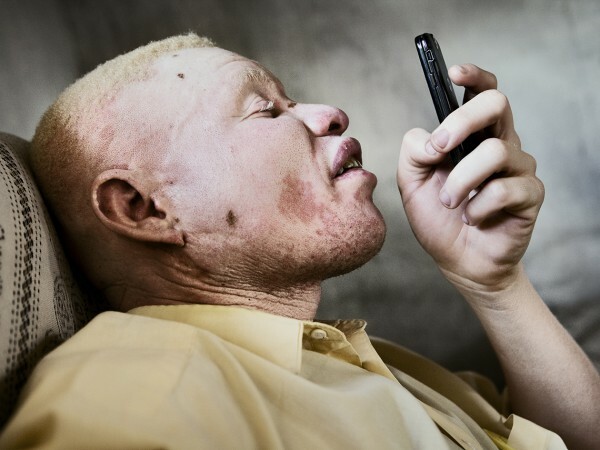 Mussa Salima struggles to make out the digits on his mobile phone. Like many albinos, he has problems with his eyesight. 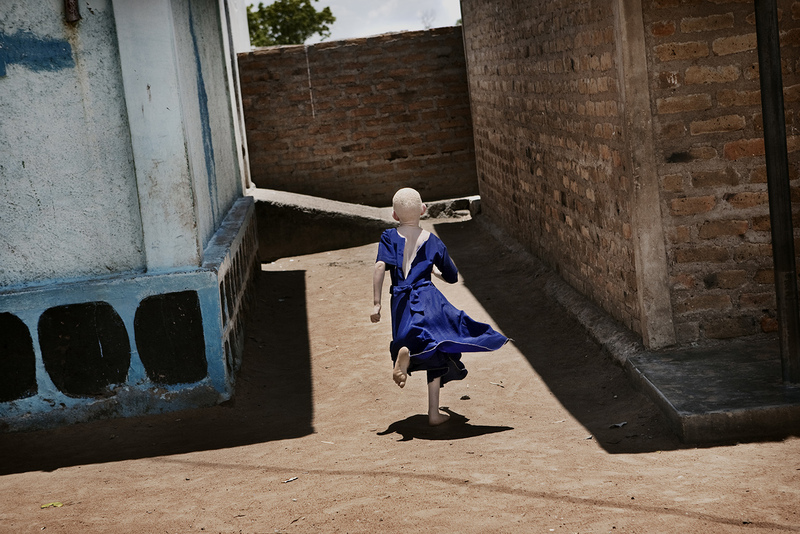 Mitindo Primary School¸ Mwanza. 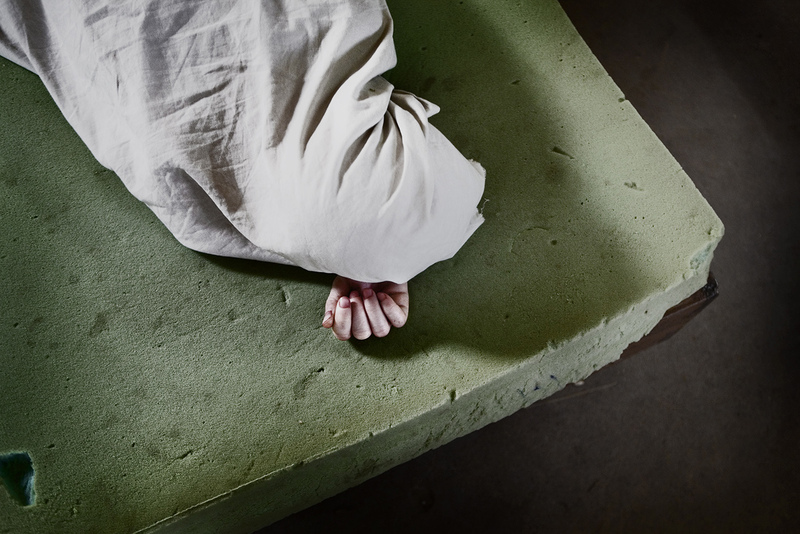 Some of the the children at the school share the mattresses in the dormitories. Best friends Franco and Chris love football. 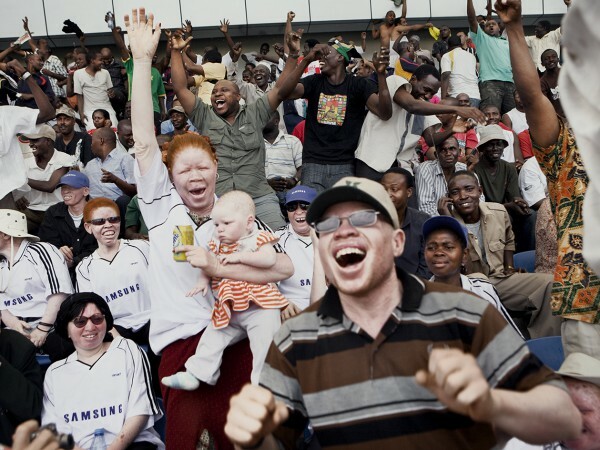 Chris ususally ends up as a spectator at the football pitch in Mbexzi, Dar-es-Salaam. 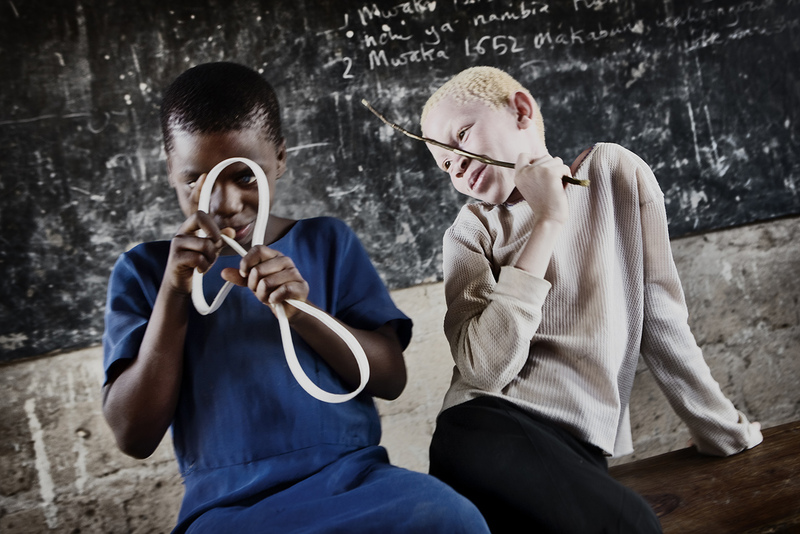 Chris, 10, is the only one with albinism at his school in Mbezi, Dar-es-Salaam. 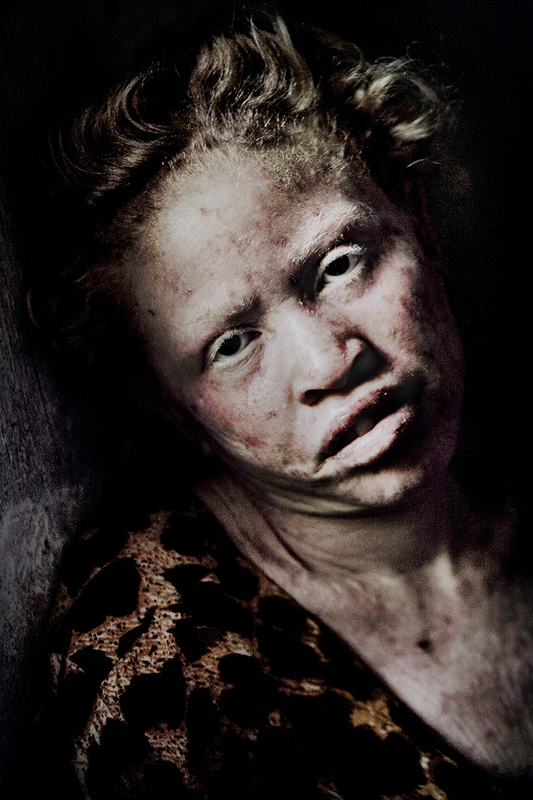 Albinos are sometimes called zeru-zeru¸ the devil’s children. 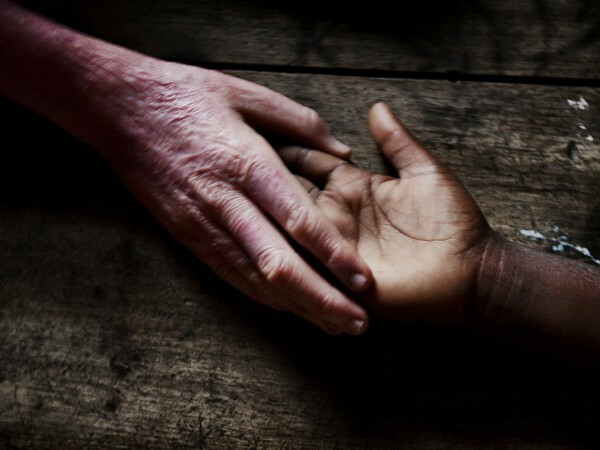 Their parents run the risk of being rejected by their community. 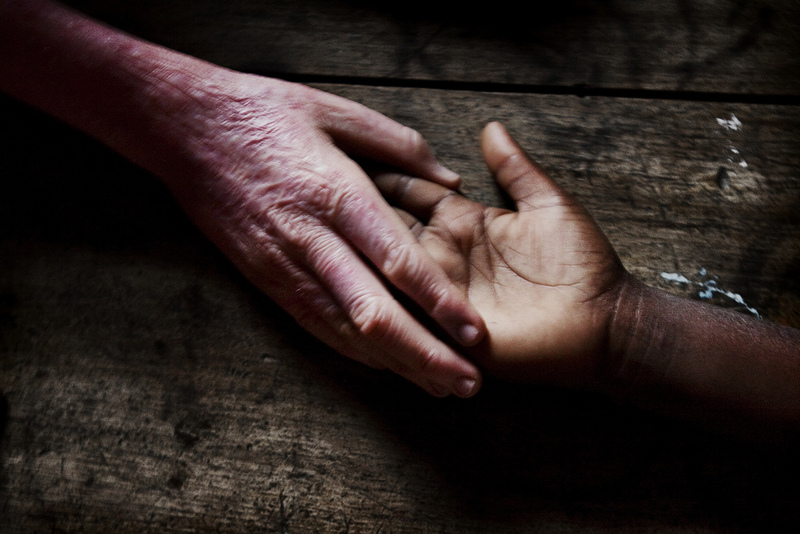 The school for blind children has become a haven for children with albinism. 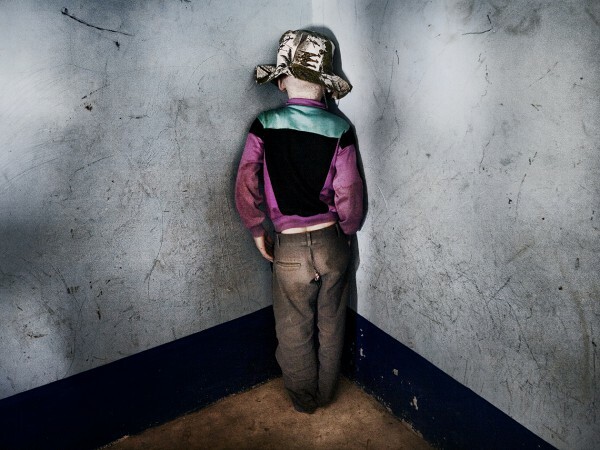 Since the killings increased 2007 many of the scared and traumatised population have come pouring in. 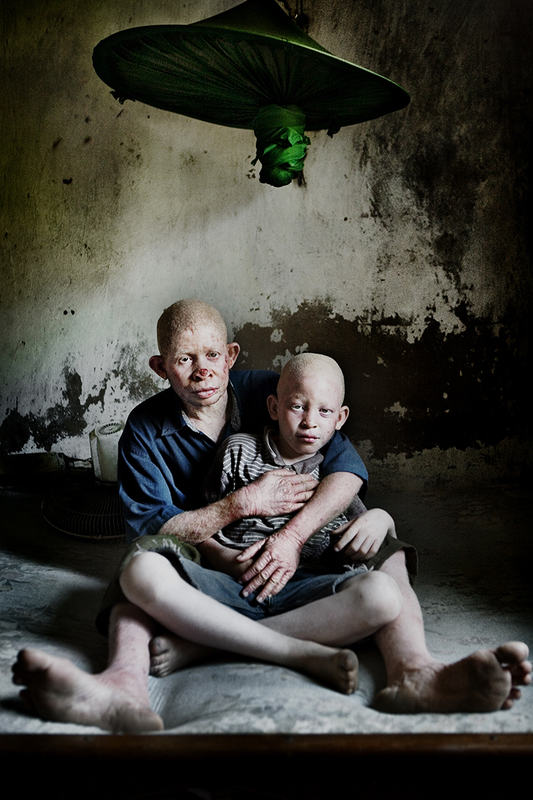 Albinism is a recessive trait. If both parents carry the gene, there is a 25 percent risk that the children will be affected by it. 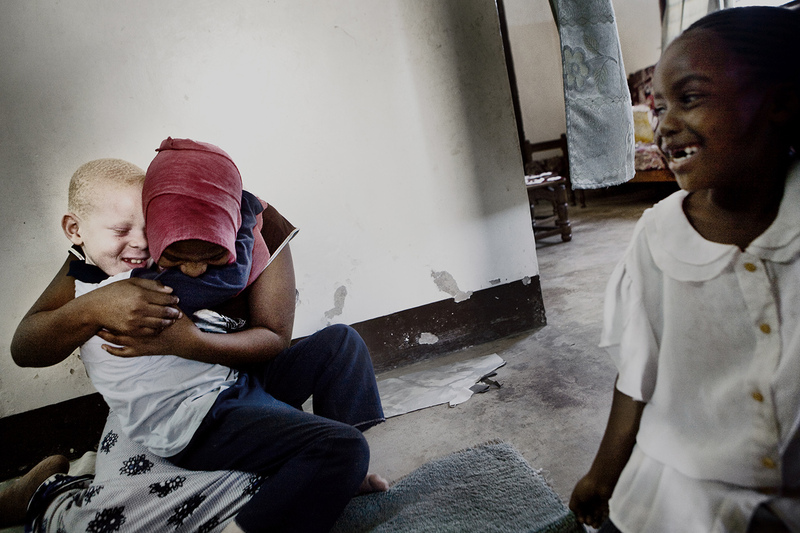 Abdurahim Abdillah and his sister Wahida Abdillah, 18, inside their home in Dar-es-Salaam. 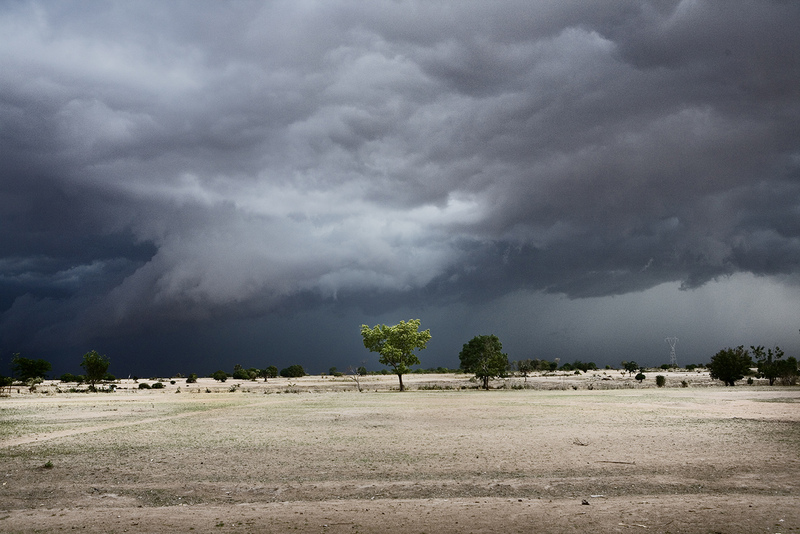 Lack of pigment makes it difficult to be outdoors in the daytime. 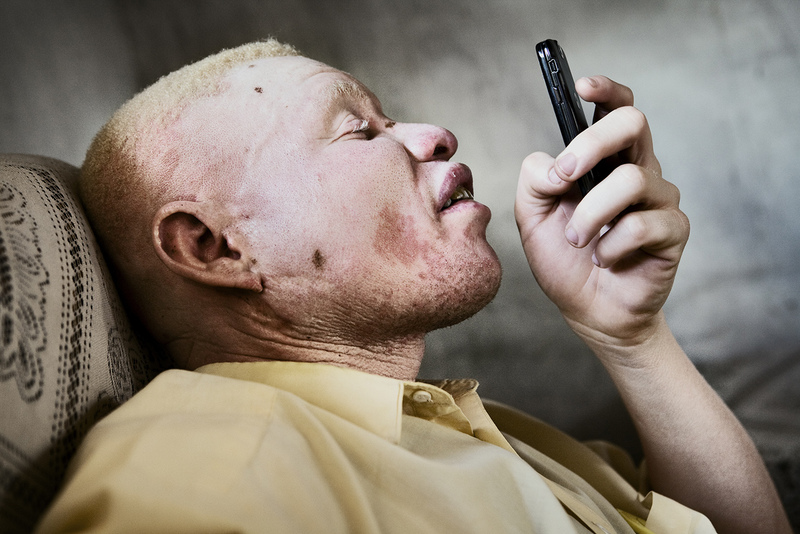 Albinism is a much more serious condition in Africa than it is in the Western world.